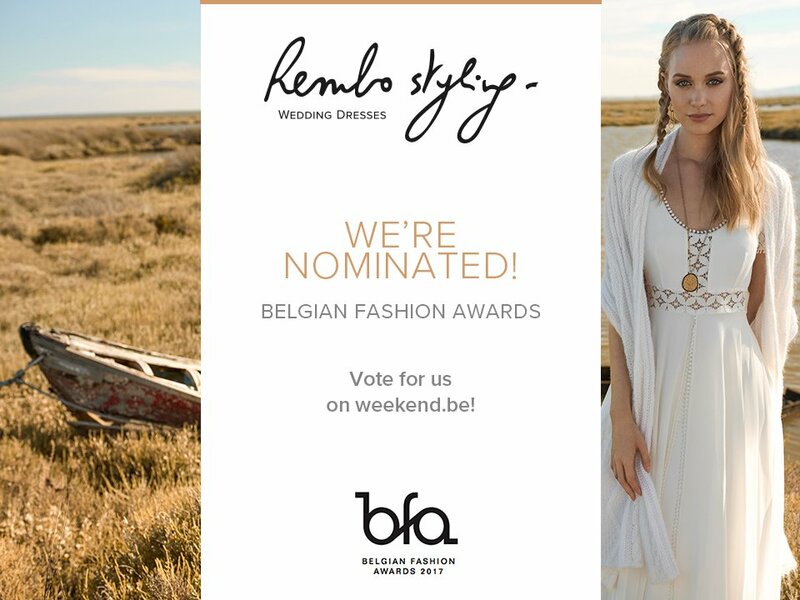 We’re proud to announce that Marylise’s sister brand Rembo Styling has been nominated for Fashion Brand of the Year by the Belgian Fashion Awards 2017! The jury fell head over heels for the authenticity of Rembo Styling’s designs and the Belgian craftsmanship through which Rembo, just like Marylise, distinguishes itself in the world of bridal wear. Belgian Fashion Awards – It’s your vote that counts! The Belgian Fashion Awards set out to give Belgium’s top fashion talents the recognition they deserve. Will you help our little sister win first place? Your vote makes all the difference! Cast your vote before November 11 on http://bit.ly/2i5ubF6.